Soon, plane passengers will have no doubt about their location when flying over China. 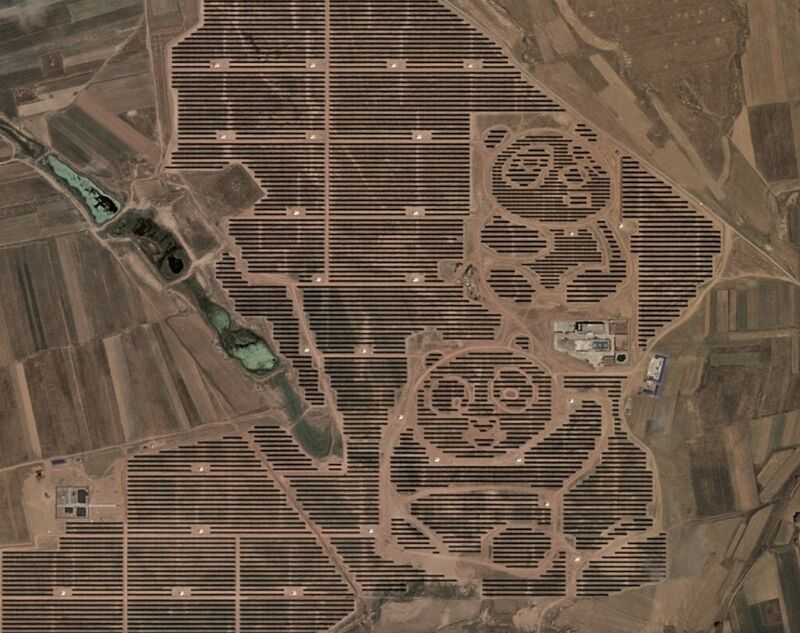 The country’s newest renewable energy program will call for solar energy farms that, from above, resemble pandas. The idea originated in 2015 with Ada Li Yan-tung, a 15-year-old who presented the idea at a United Nations youth climate conference. She hoped to get more young people in China interested in renewable energy, and, a year later, the United Nations Development Program and the Panda Green Energy Group teamed up to make her vision a reality. 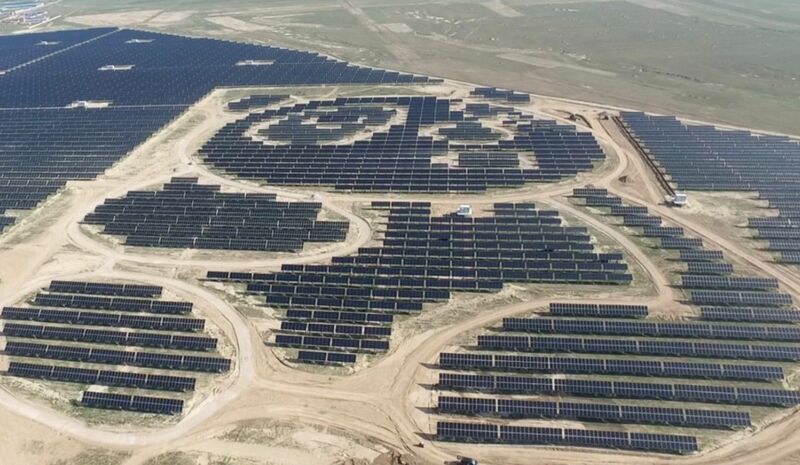 In 2017, the groups built a 248-acre solar power plant in Datong, China, that looks like two smiling pandas from above. The plant is capable of generating power for more than 10,000 households annually. A second panda-shaped power plant was completed in Guigang, Guangxi, in October 2017, and can accommodate 6,000 homes per year. But the pandas might not just be confined within Chinese borders. China plans to build power plants, bridges, railways, and power grids along the “New Silk Road,” which spans more than 60 countries across Europe, Asia, the Middle East, and Africa, to reinvigorate trade in the region. Now the companies are collaborating with the Chinese government to build 99 more similar solar farms across the country. This massive project will require $3 billion in investments. China is already the largest investor in renewable energy, having spent $126.6 billion on it in 2017. 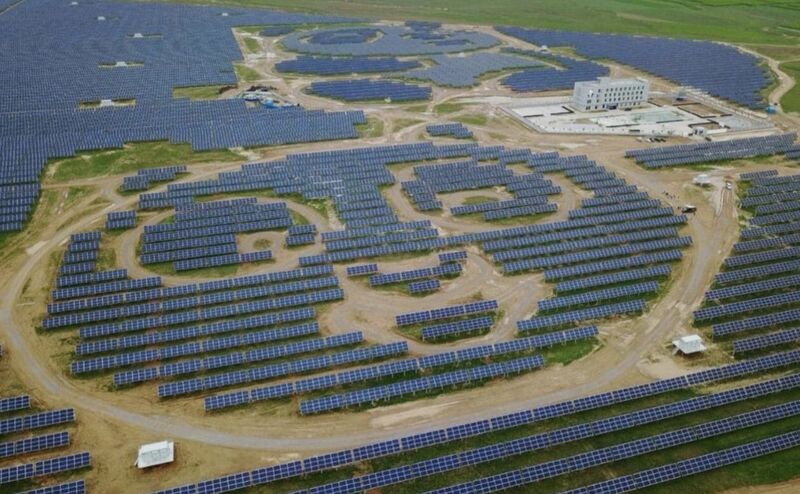 By 2020, China hopes to power 30 million homes through solar energy. Check out more aerial views of the Datong Power Plant here.